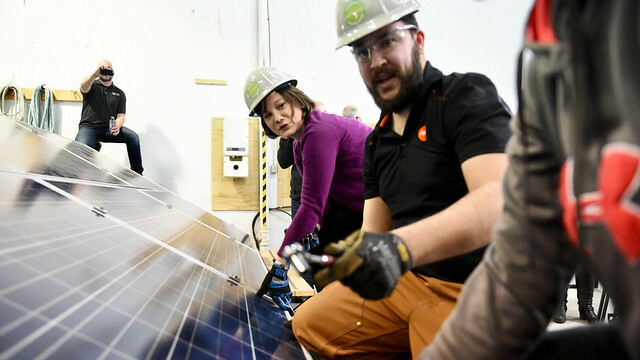 The Alberta government is creating a $36-million rebate program for solar installation on residential and commercial buildings. Homeowners, businesses and non-profit organizations will receive rebates for rooftop solar panels that meet the Residential and Commercial Solar Program requirements as early as this summer. To ensure Albertans receive timely access, the government is posting a Request for Proposal to identify a third party to deliver the new program. Details will be defined in coming months, including qualifying systems, installation and eligibility requirements. The Residential and Commercial Solar Program is a reinvestment of the carbon levy. “Solar photovoltaic” is the scientific term for cells that convert sunlight into electricity. Non-profits interested in applying must be registered under the Federal Business Corporations Act and be incorporated and in good-standing under the Societies Act of Alberta, the Agriculture Societies Act, Companies Act – Part 9, or the Canada Not-for-Profit Corporations Act. On Dec. 21, 2016, the Government of Alberta amended the Micro-generation Regulation to provide more flexible rules for Albertans generating their own electricity. This increased the size limit of a micro-generation system from one megawatt to five megawatts and allows a solar array to serve adjacent sites (especially helpful for operations with more than one building).